Happy Monday! After intermittently browsing eBay for years (at least four or five) for a second-hand Chloé Ethel handbag, I finally found one at a great price in a great color, that was almost brand new! I haven't purchased a handbag (not counting small clutches) since 2012, so I was ready for something new. 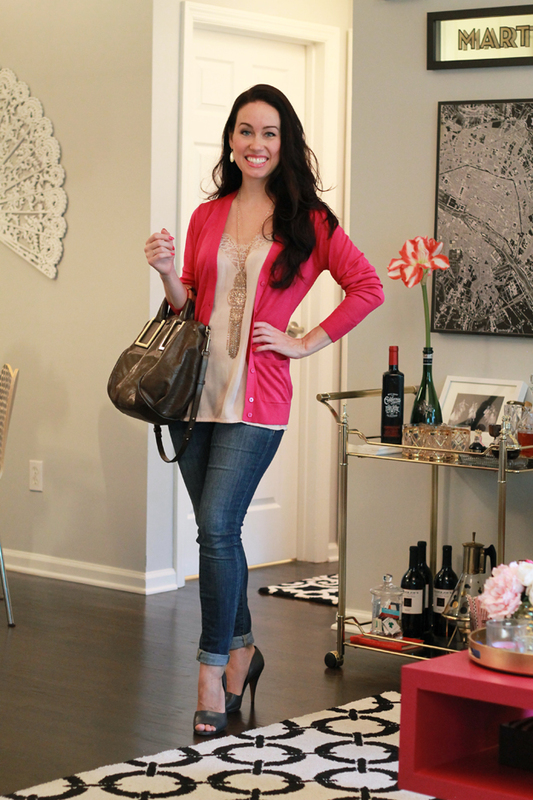 With the pleasant cool weather that's hanging around, I paired this light cardigan and bag with a summer top and heels. The summer fantasy is almost over and it's back to reality very soon - have a great week and thanks for dropping by! Great outfit and nice bag! i can't seem to leave a comment in the right post box :x. in any case for this one, I love the slip as a cami it is so pretty! Adds such a romantic and fem touch! xO!